The most important lesson I’ve learned from having two children with HLHS is to embrace the journey—both your child’s journey and your own. When Ava was diagnosed, I read what seemed like every blog out there and became not just disappointed, but terrified that she didn’t follow the same paths as others. I learned, in time, that every child born with HLHS has a unique journey; no two are exactly alike. I share my children’s stories not to predict what lies ahead for your warrior, but to provide hope. Anything is possible for kids with HLHS. I can’t wait to hear about your warrior’s journey! 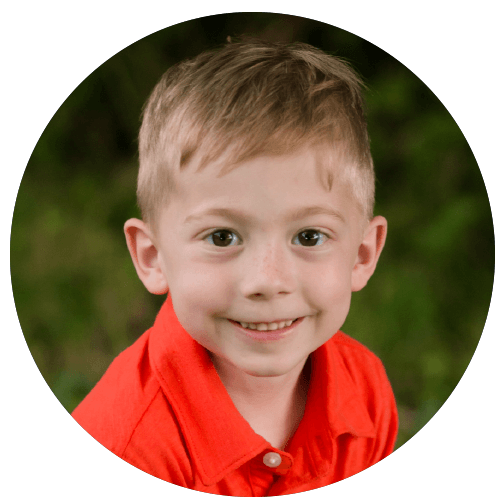 Finding out your child has HLHS is like waking up on a roller coaster ride—a ride you never knew existed and certainly didn’t purchase a ticket for. Yet, here you are. You hold your breath through the unexpected twists and turns. As the ride levels out, you relax and try to convince yourself you can endure it. The stakes are high, and no end is in sight. Guess what? You’re not alone on this ride. A community of people impacted by HLHS are in the car with you, including me. We are here to hold your hand when you can’t handle one more sharp turn. We will remind you to relax and breathe when the ride levels out and, most importantly, we will inspire you to choose joy and savor the ride. Aidan is our middle child but only by one minute. Even though his twin, Ava, was born first, he has taken on the “big brother” role in the family. He is a fierce protector and amazing advocate for his siblings. He is sweet, sensitive, creative, and always in motion. Miles will forever be my baby and is our second heart warrior. At some point we blinked and Miles became a toddler. He completes our family and makes us laugh every single day. 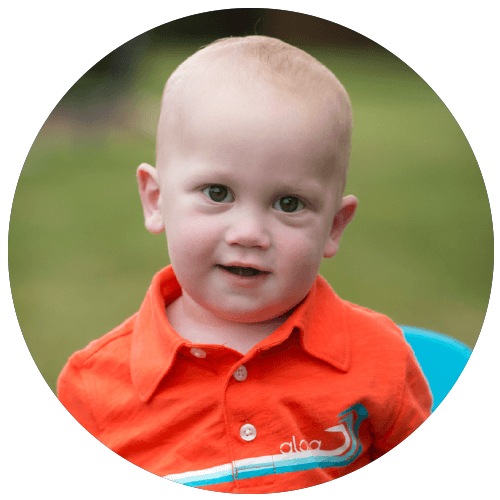 Miles is charming, ornery, fearless, active and always smiling. 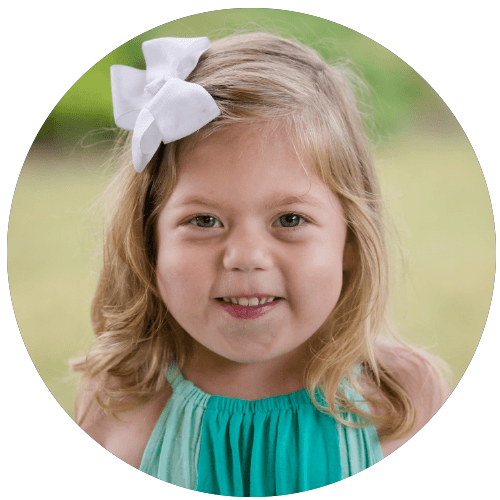 Ava is our first heart warrior and our oldest child—even though she acts like the middle child. She has been charting her own course since before she was born and is proof that miracles do exist. Ava is spirited, resilient, independent, and full of joy.